As Muslims were celebrating EID across Canada, Hon. Prime Minister Justin Trudeau hosted an EID Gala at the Parliament Hill in Ottawa on Tuesday June 19th 2018. 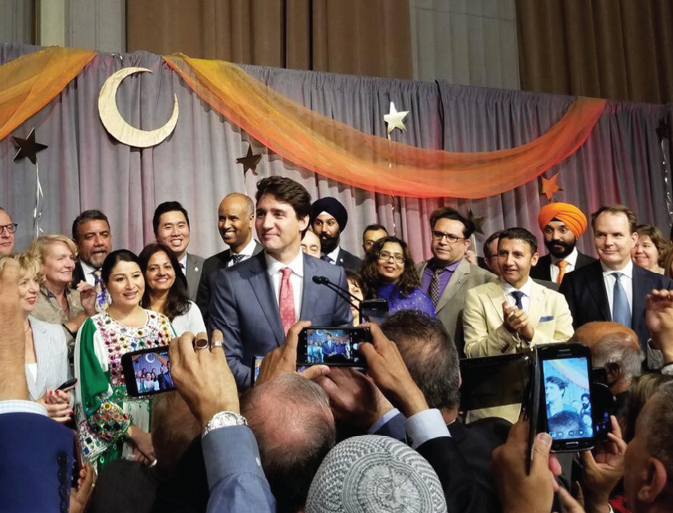 It was a historic moment for Muslims in Canada to gather and share their joys marking the end of Ramadhan with their Prime Minister. The event was held just days after a mosque in Edson was damaged in an overnight fire on Sunday. In 2011 Prime Minister Stephen Harper attended the first Eid-ul-Adha on the Hill this would be PM Justin Trudeau's first Eid-ul-Fitr on the hill. The Prime Minister in his remarks thanked the Muslim communities for contributing towards worthy humanitarian causes locally and globally. Other elected MP’s also joined the Prime Minister at the event.